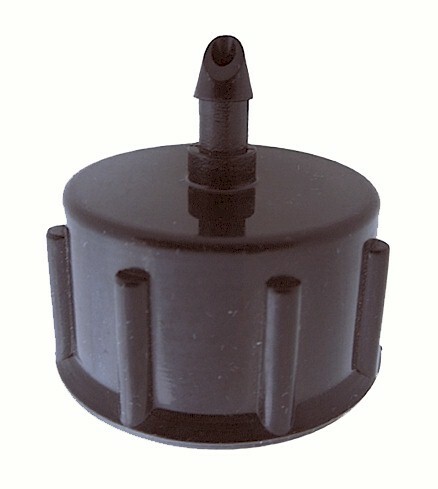 Use to connect 1/4" drip tubing or soaker hose, to any faucet, garden hose, or any other fitting that has male garden hose threads, such as filters, regulators or and anti siphon device. It can also be used on male hose thread tees. 1/4" soaker hose or 1/4" poly, simply slips over the barb. No glue or clamps needed, but be sure your pressure is about 25 psi. Be sure and use a pressure regulator, so your tubing doesn't blow off of the adapter.